A woman was killed and 5 others wounded in gunfire outside Ganan police station, 30km south of Ajdabiya, on Saturday. The victims are family members from the southern city of Kufra who were passing by the police station driving a Hyundai Verna when the firing occurred. No police officers were killed or wounded. 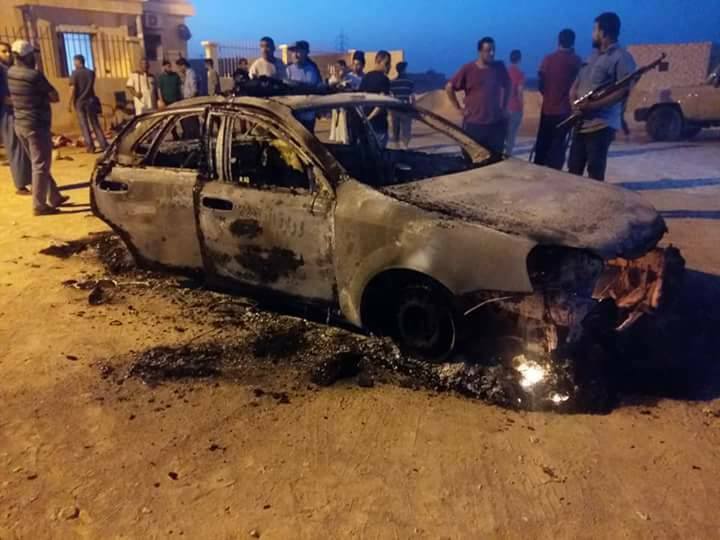 Meanwhile, local sources from Ajdabiya said that “the police officers opened fire at a Hyundai Verna car after being suspected of being terrorists”, killing a woman and wounding 5 others – 3 men and 2 women. 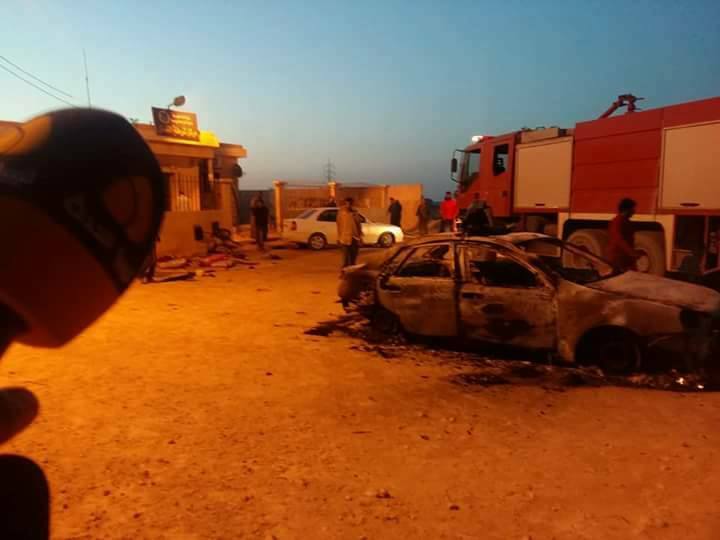 The sources claimed that Ganan police station fabricated the “ISIS attack” and set their 3 cars on fire to evade social and tribal responsibility. Mehmed Magharef Hospital in Ajdabiya confirmed the arrival of the casualties and released their names to the public.